As the details of the Transatlantic Trade and Investment Partnership are negotiated, Senior Lecturer in The City Law School, Dr Enrico Bonadio, discusses the dispute between the European Union and the US over geographical indications of foodstuff such as Asiago and Black Forest Ham. Part of the EU’s legal framework for protecting regional food products is that they have acquired a strong reputation among consumers the world over. Favourable climates and centuries-old manufacturing techniques rooted in their protected areas have contributed to build up this renown. They are intellectual property rights that identify “products with a story”. The US plays by different rules, however. There are numerous American companies that use European geographical and traditional names (including Parmesan, Asiago and feta for cheese) to identify products that have not been produced in the relevant European locations – and often do not have the same quality as the originals. This lack of protection – European negotiators stress – allows an unacceptable exploitation of Europe’s cultural heritage, as well as costing EU manufacturers large amounts of revenue. The US is, however, resisting these claims. Its negotiators maintain that their food producers have been using and trademarking European geographical names for many decades, and it would now be unfair to ask them to stop. The US also claims that many of the geographical terms, such as Parmesan, Fontina, feta, Gouda and Edam, have become the generic names of the relevant products, and cannot be monopolised by anyone, including the European producers located in those areas. Indeed, most US consumers don’t even know that these terms are actually geographical names. To them they just describe the characteristics of a product. EU-style legal protection – the US argument goes – would give European food producers unfair advantage in the marketplace. It would amount to a trade barrier, which would force many US producers to go through an expensive re-brand, and would increase final prices for consumers. 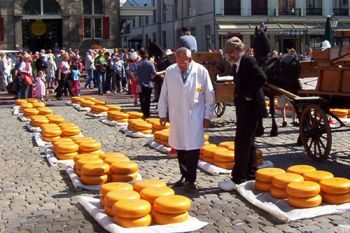 It would take a heavy toll on the US cheese market in light of the US$21 billion in US cheese production that uses European-origin names. A similar situation arose between the EU and Canada in negotiations over their trade deal, the Comprehensive Economic Trade Agreement (CETA). Though not yet ratified, they reached a compromise last year after more than four years of negotiations that could offer hope to TTIP negotiators. CETA does not give European food producers strong exclusive rights over all their geographical indications. Rather, it leaves Canadian competitors a certain degree of freedom to use European geographical names. For example, while this treaty strongly protects certain European wines and spirits such as Champagne, Bordeaux and Cognac, several other names have been offered only limited protection. 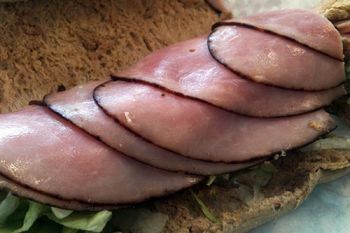 Canadian food producers are left free to use the English and French translated version of some European terms, such as St George cheese, Black Forest ham, Tiroler bacon, as well as Munich and Bavarian beer. CETA also allows Canadian cheese manufacturers that were established after 2013 to lawfully use some European geographical indications, such as Fontina, Asiago, feta, Gorgonzola and Münster, accompanied by terms like “style”, “type” or “kind”. Plus, CETA protects several EU geographical names in Canada as compound names (which is also what happens in Europe). So, Edam Holland and Gouda Holland are protected (not just Edam and Gouda), as is Mortadella Bologna and Brie de Meaux (not just mortadella or brie). So, even though CETA does not give European producers the same level of protection over their geographical names as they have in the EU, it has been welcomed. Limited protection is better than none at all. And, the treaty will also eliminate customs duties for the European farming and food sector, with nearly 92% of EU agriculture and food products to be exported to Canada duty-free. While Europeans negotiators hope to reach a similar result in negotiations over TTIP, it is not certain whether their US counterparts will relent and grant European food products even the limited protection they have under CETA. American resistance to the EU’s geographical indicators seems very strong. Last year 55 US senators sent a letter to the US Trade Representative (the government agency tasked with conducting trade negotiations) urging that it be made clear to the EU that the US will reject any TTIP proposal that would restrict in any way the ability of US producers to use their existing names. This includes those that use European geographical terms, which are perceived by US consumers as the common names of food products, especially cheeses. Thus, the row between Europe and the US over geographical name protection does not seem close to an end.